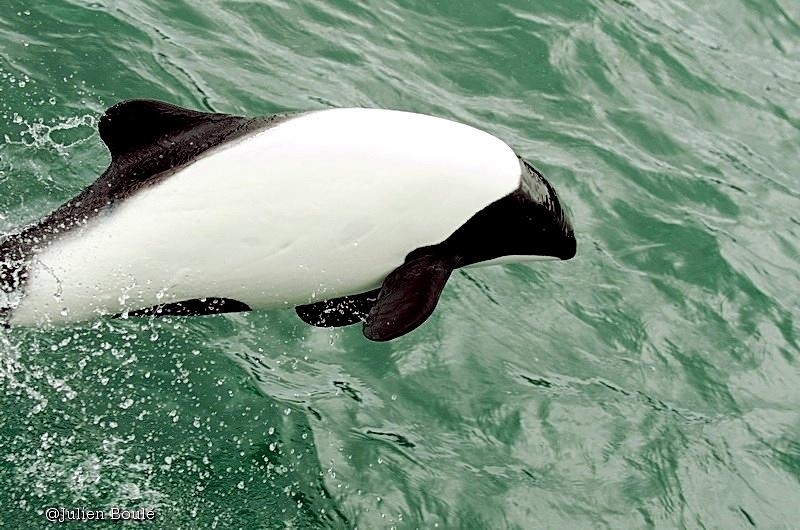 Commerson’s Dolphins are frequently mistaken for porpoises because they lack of beaks and have small heads. 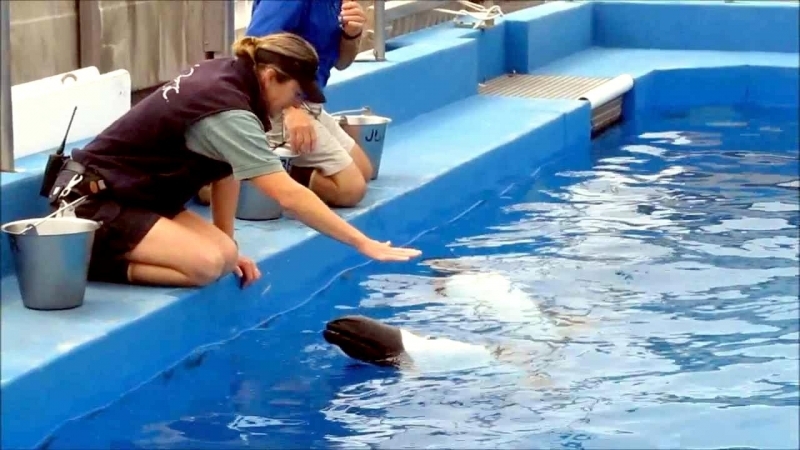 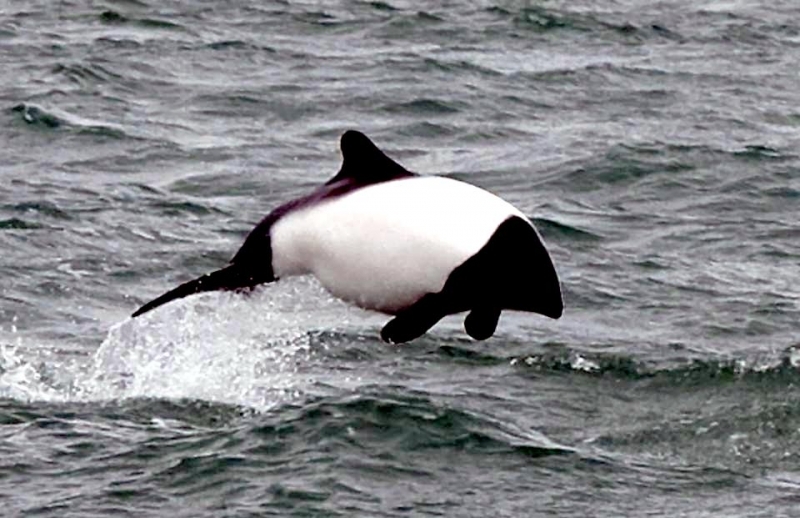 They have small stocky bodies with rounded, paddle-like flippers. 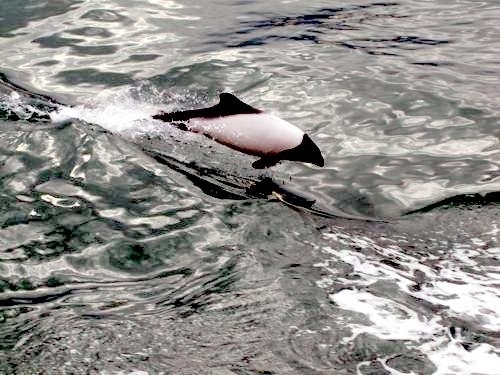 Juveniles are gray-black and lighten into their adult white coloring of the anterior body and black head. 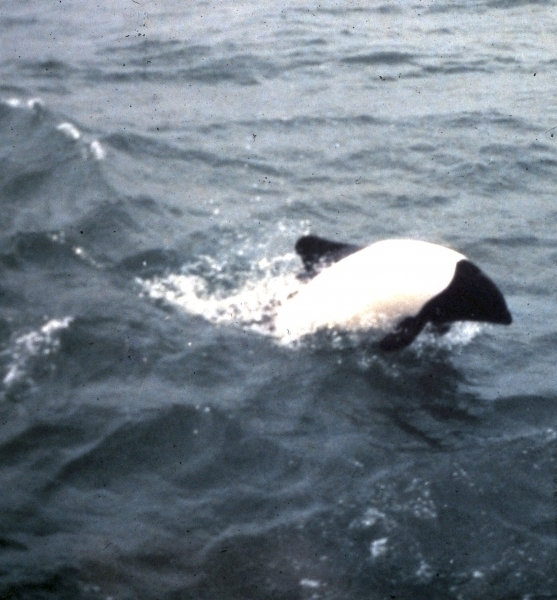 The dorsal area from the fin back is also black with a black patch on the lighter ventral side. 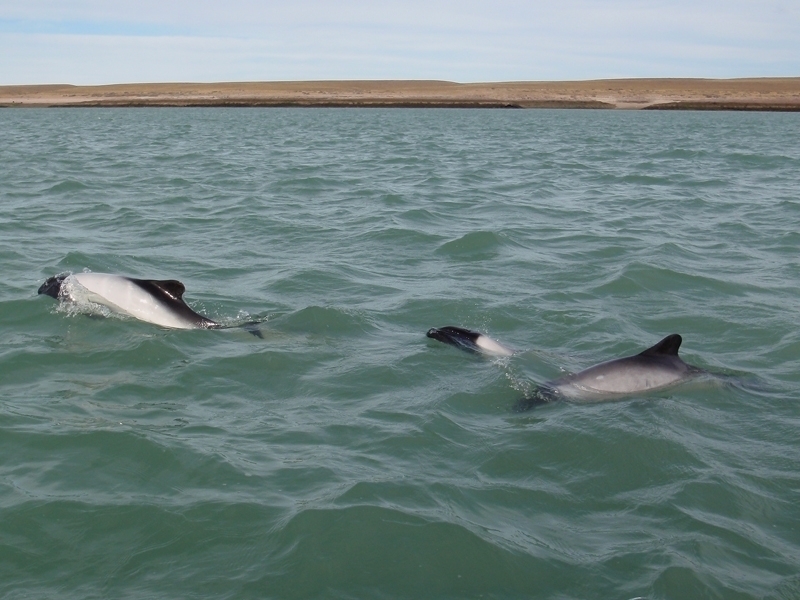 The dolphin is named for Dr. Philibert Commerson who was a French naturalist and first described the species in 1767 after he sighted them in the Strait of Magellan. 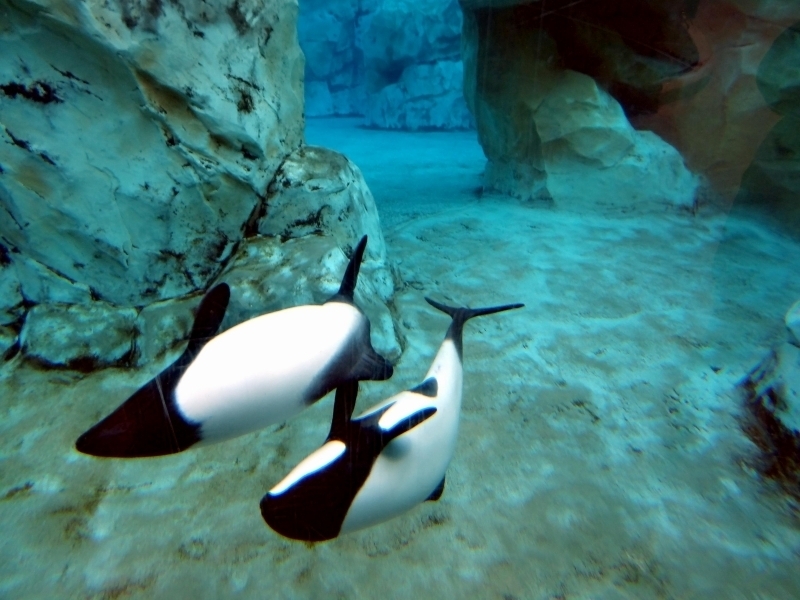 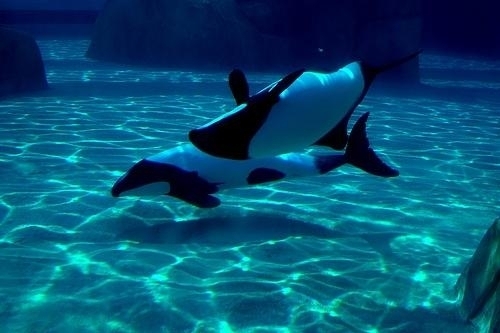 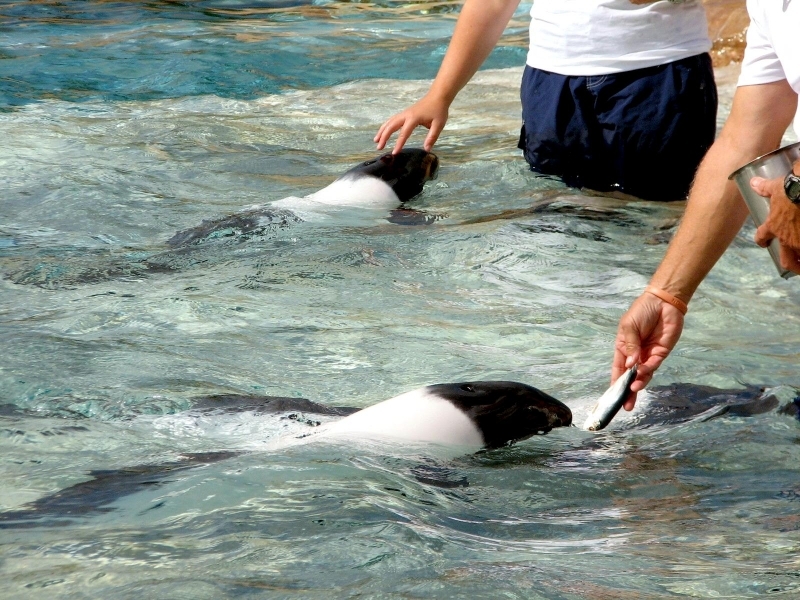 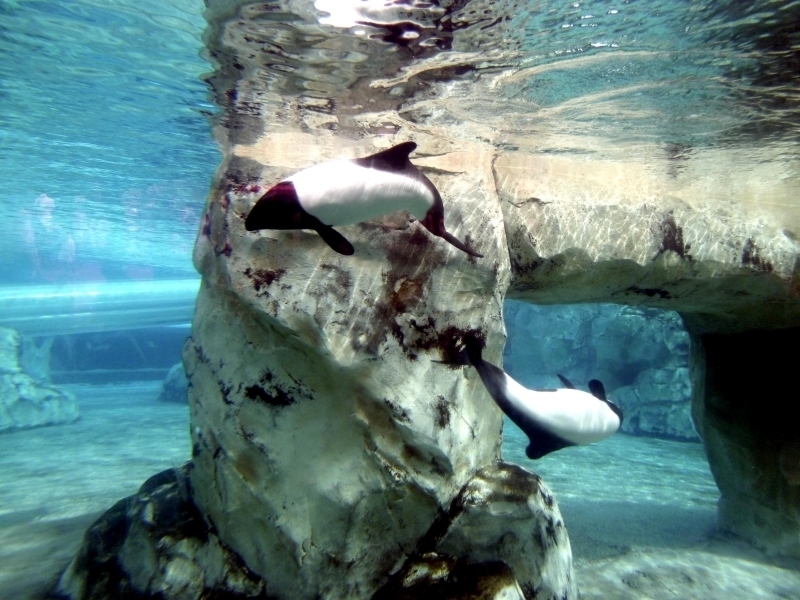 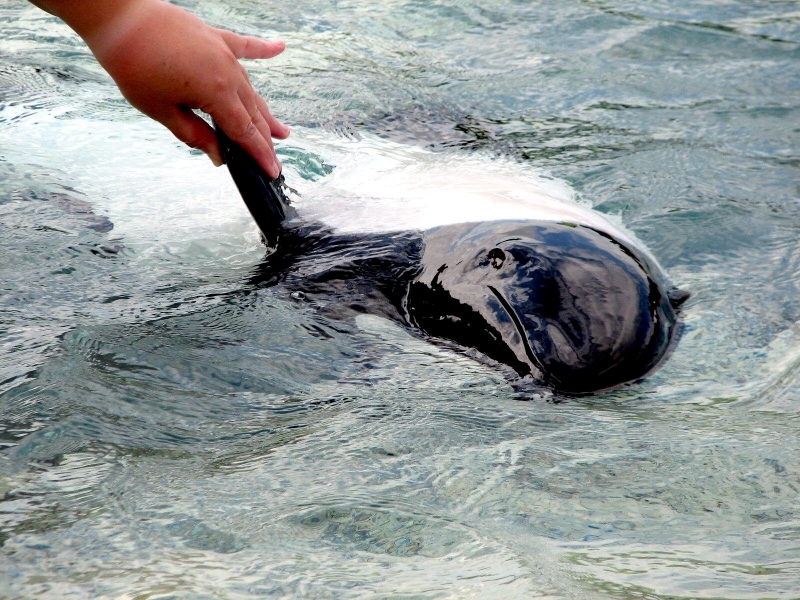 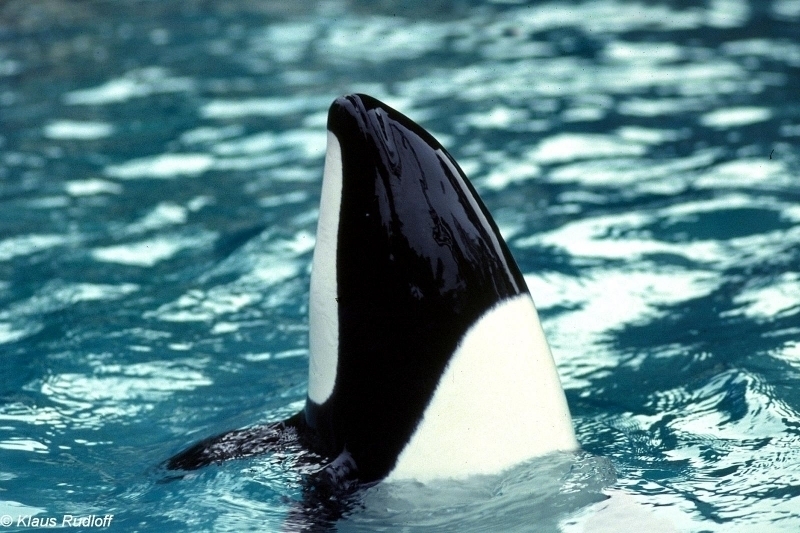 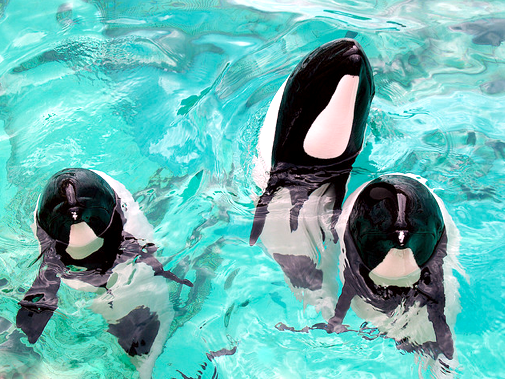 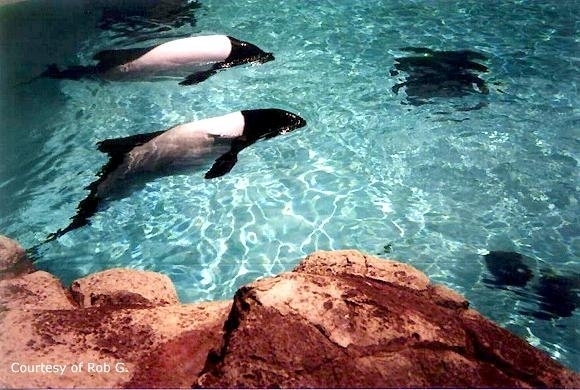 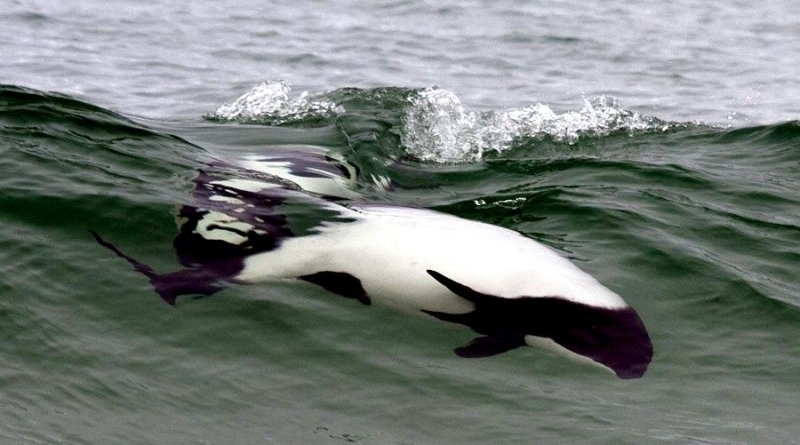 Commerson’s Dolphins range in size from 1.2-1.7 meters and can reach up to 86 kilograms. 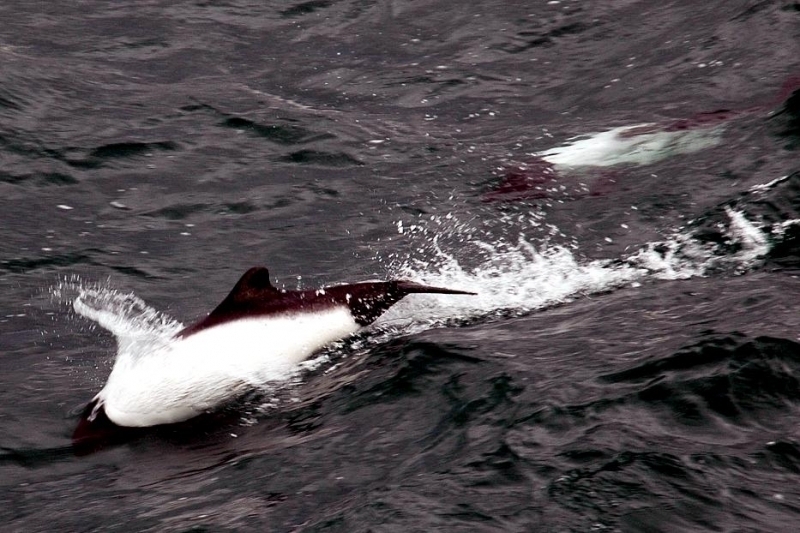 These dolphins tend to be found in small pods of 2-7 although aggregations of 100 or more have been observed. 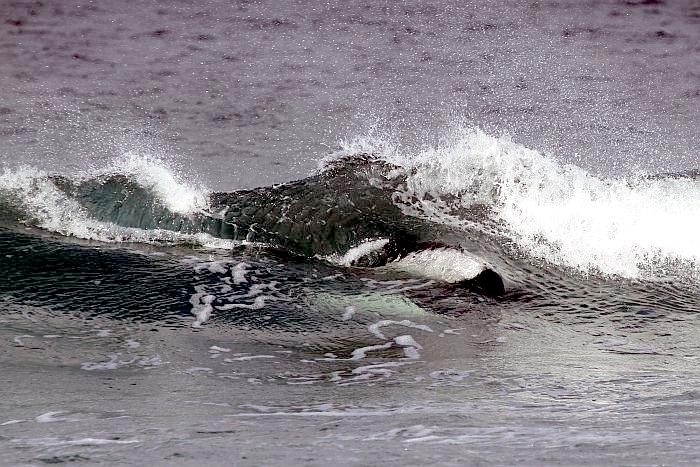 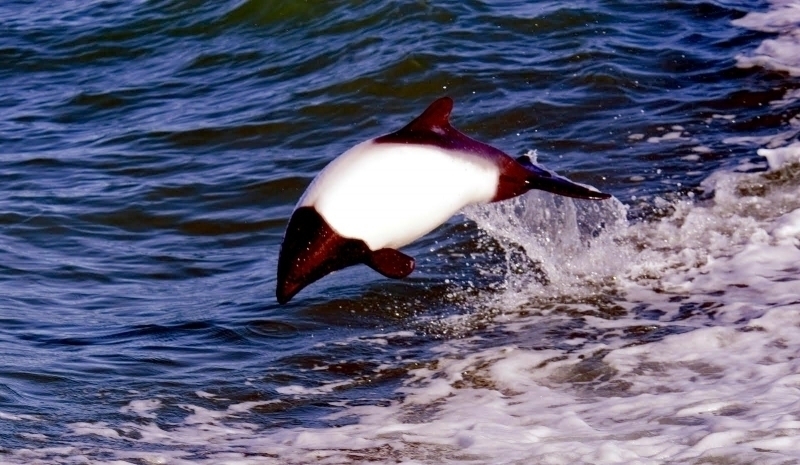 Like other dolphin species, they are quick and agile and enjoy leaping & riding bow waves. 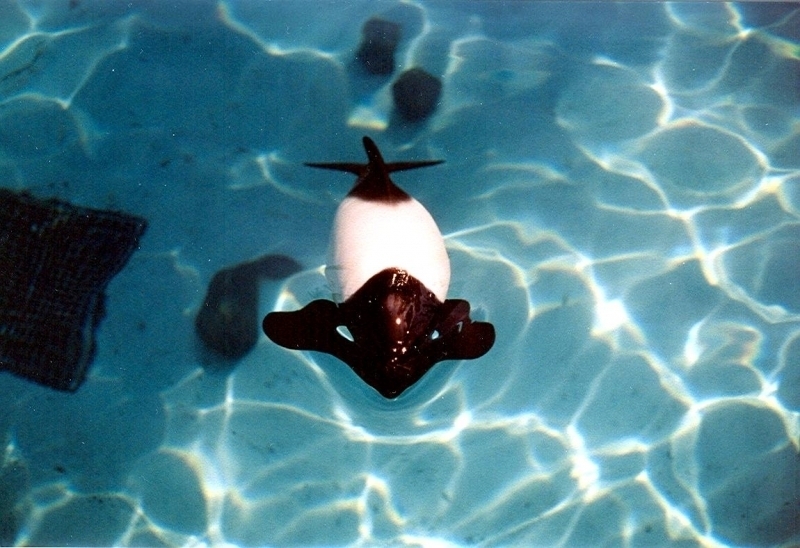 They have also been observed swimming upside down. 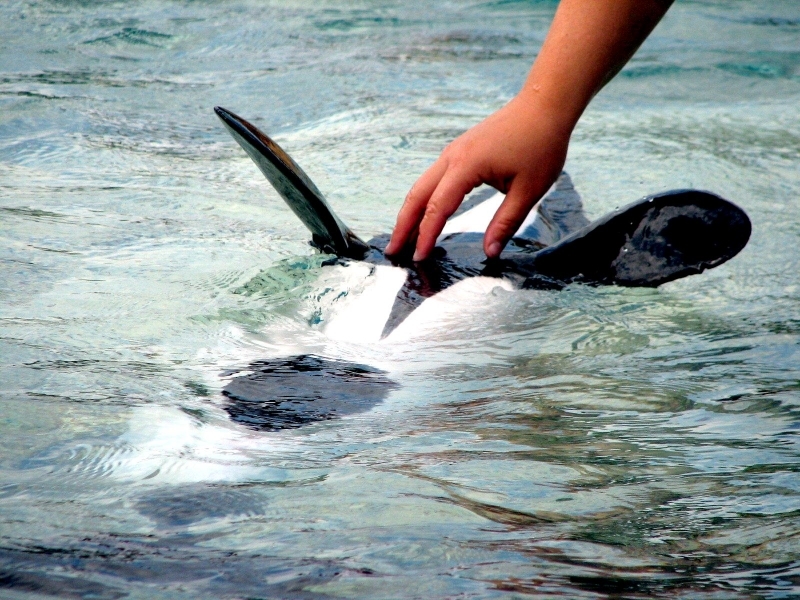 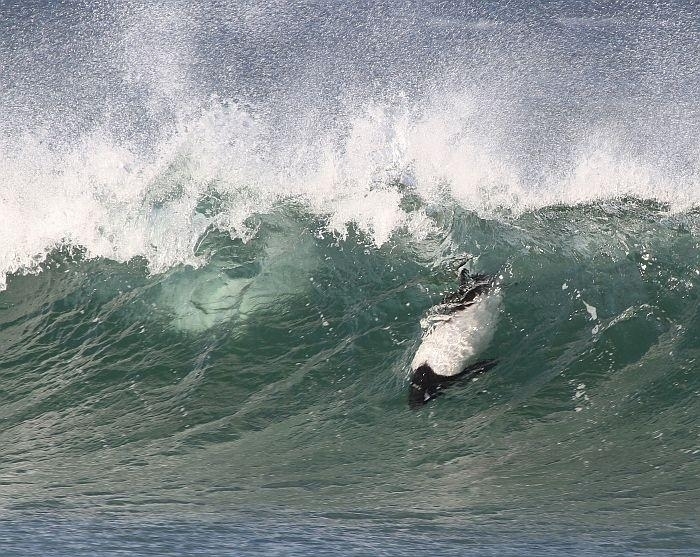 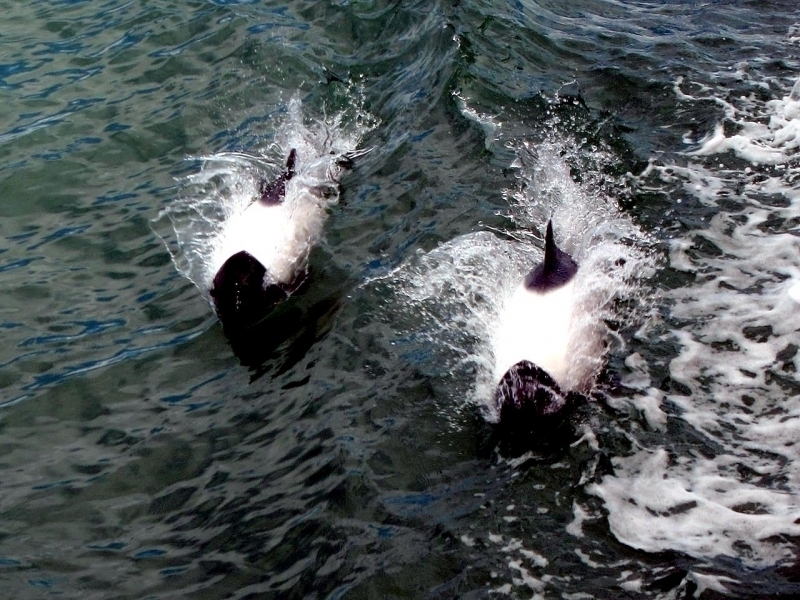 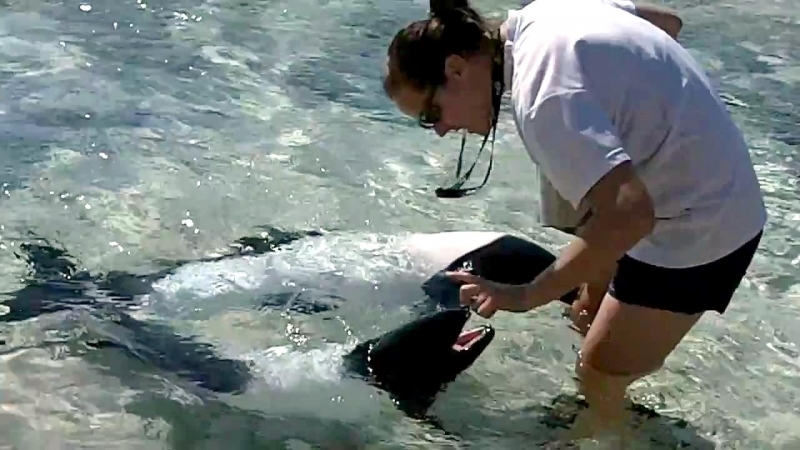 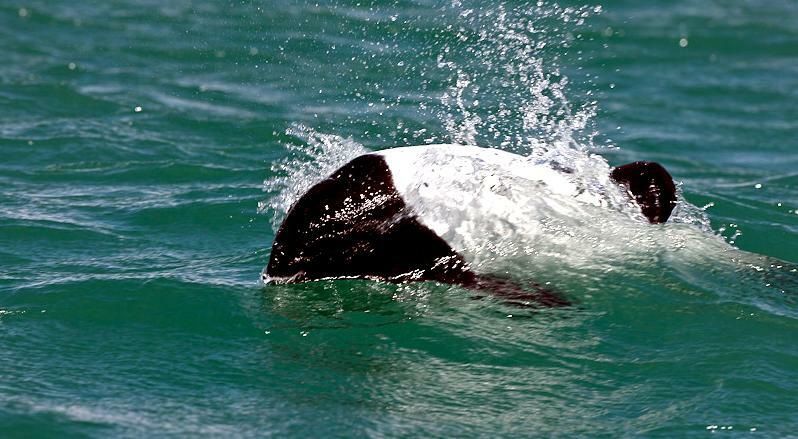 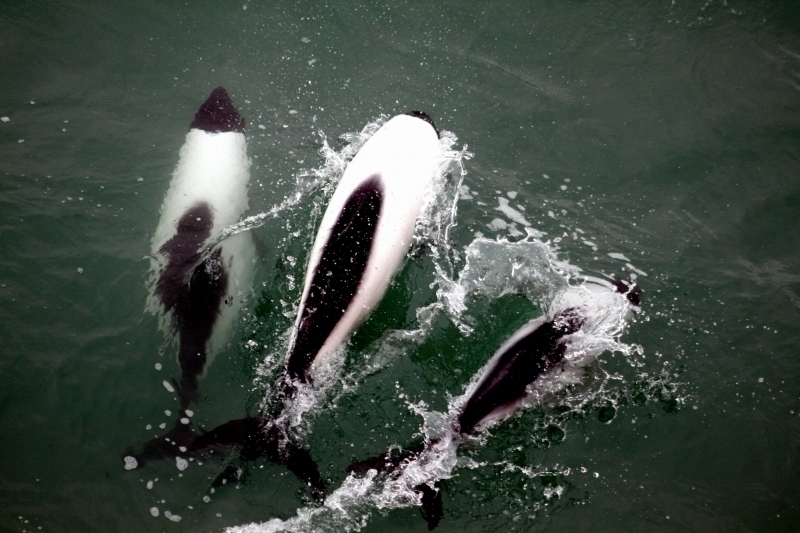 Commerson’s Dolphins range from the tip of South America, through the Strait of Magellan, around the Falkland Islands and the Kerguélen Islands. 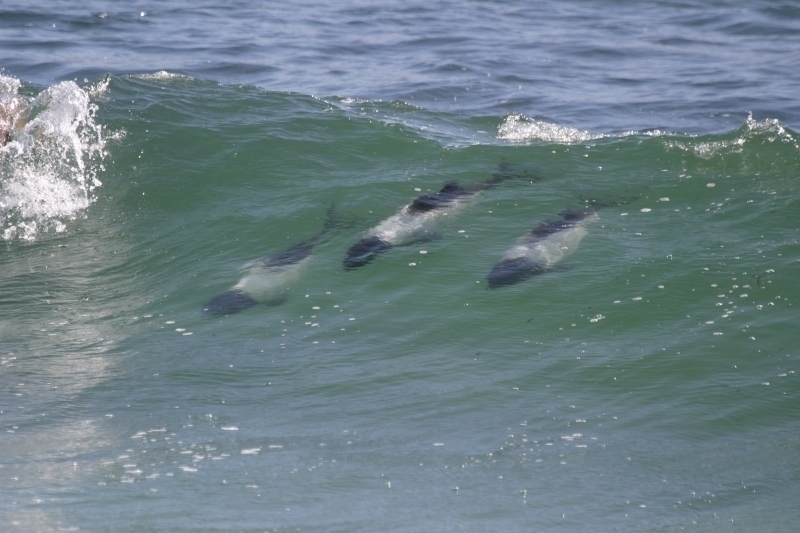 Little is known about the migratory patterns of these dolphins, however fishermen report that they disappear from their common areas during the winter. 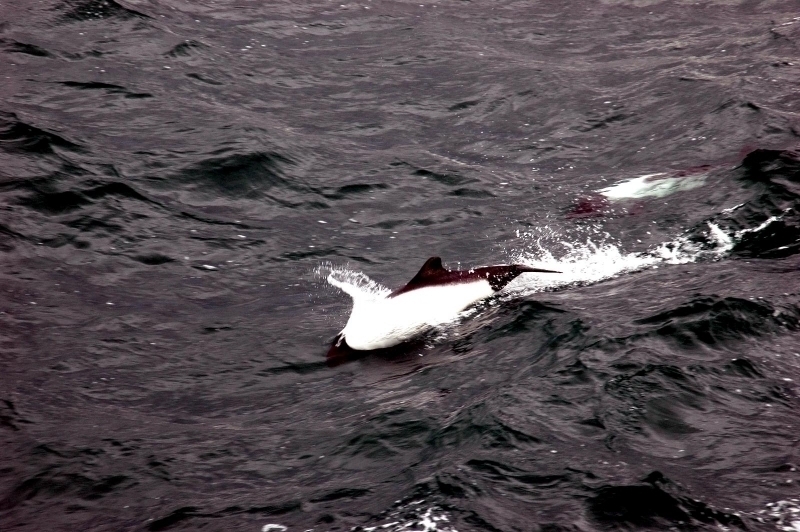 They may follow fish that migrate offshore in winter. 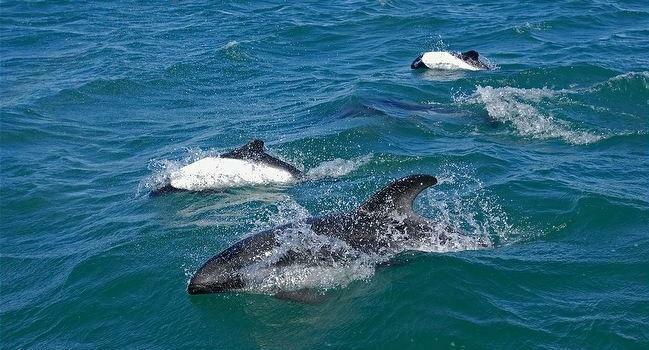 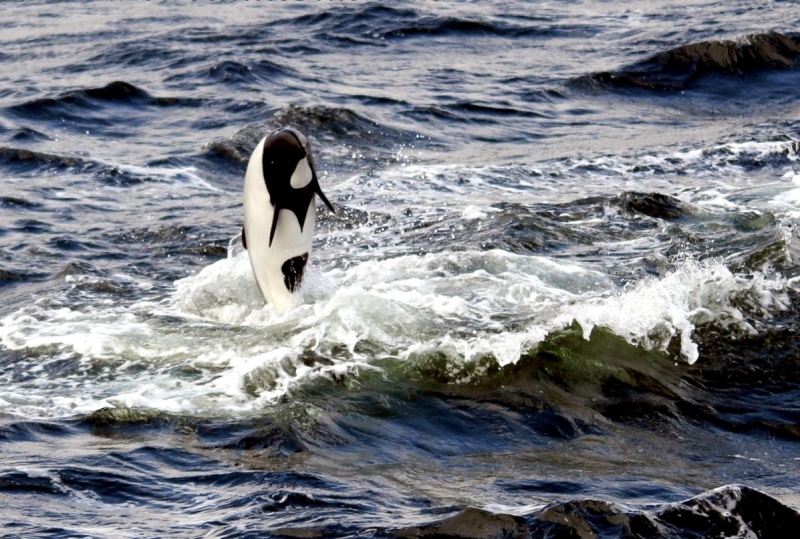 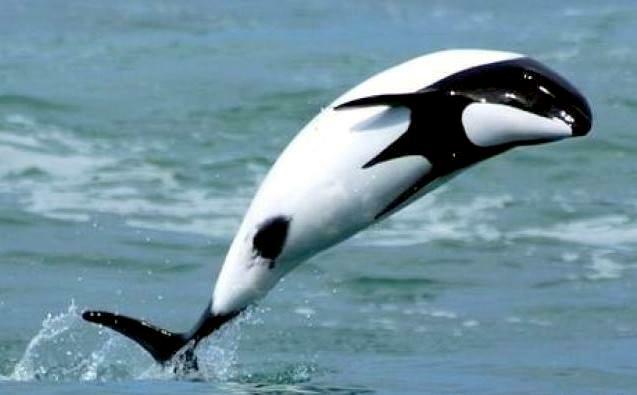 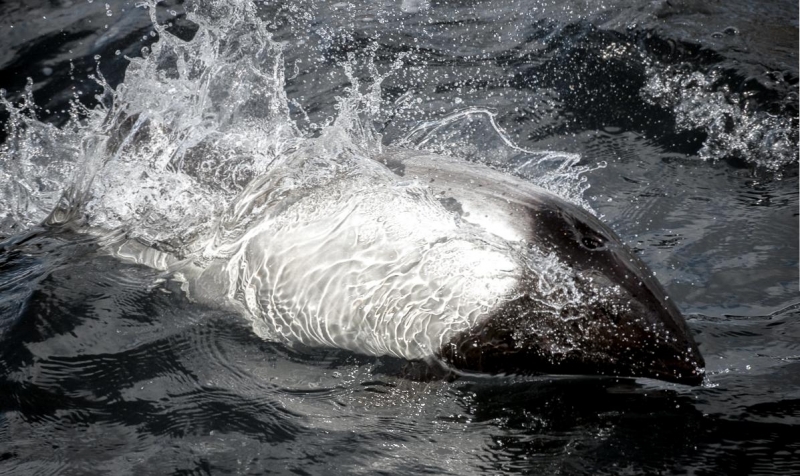 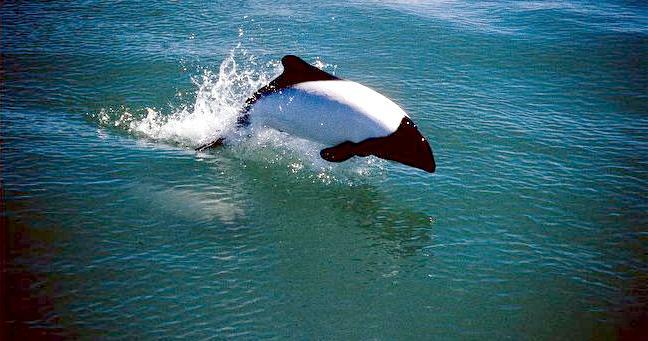 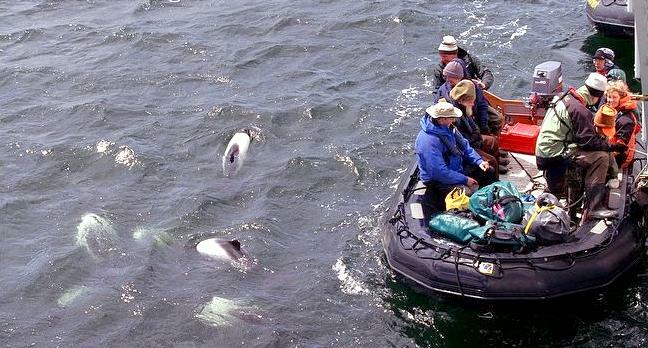 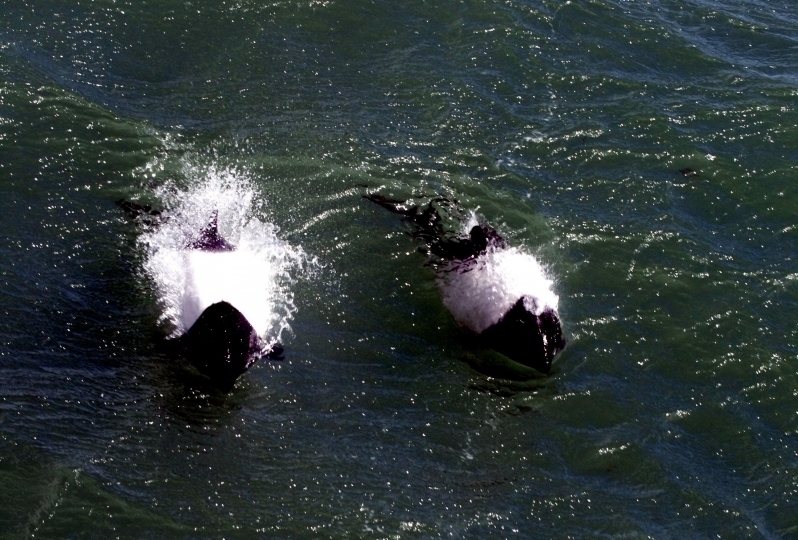 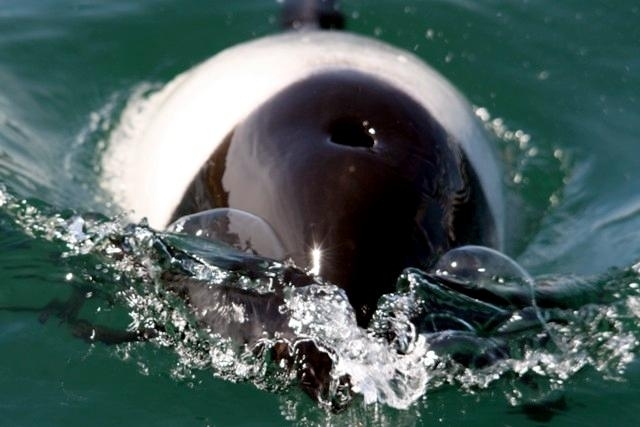 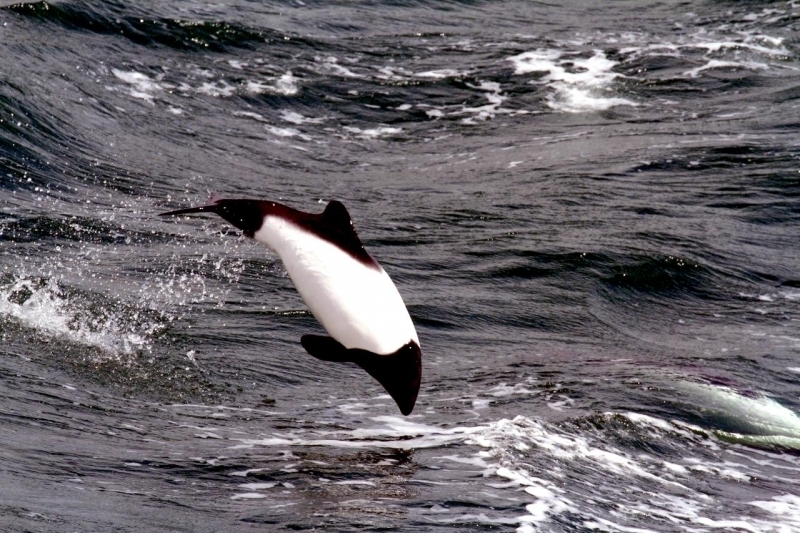 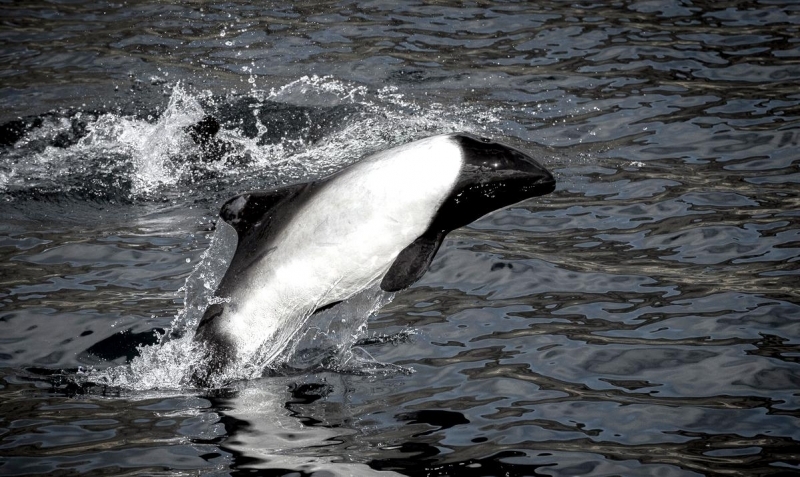 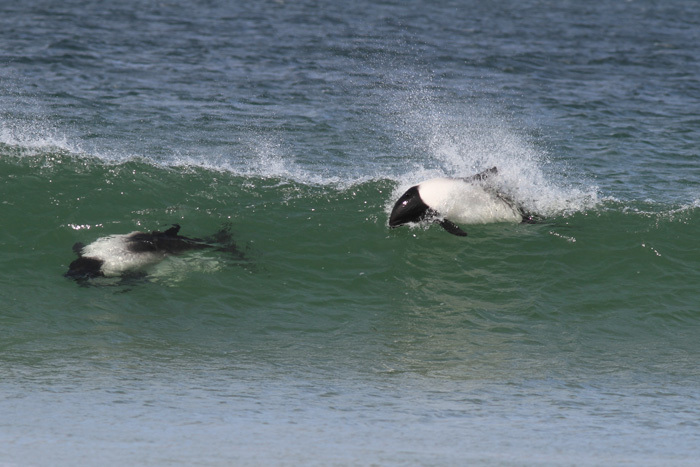 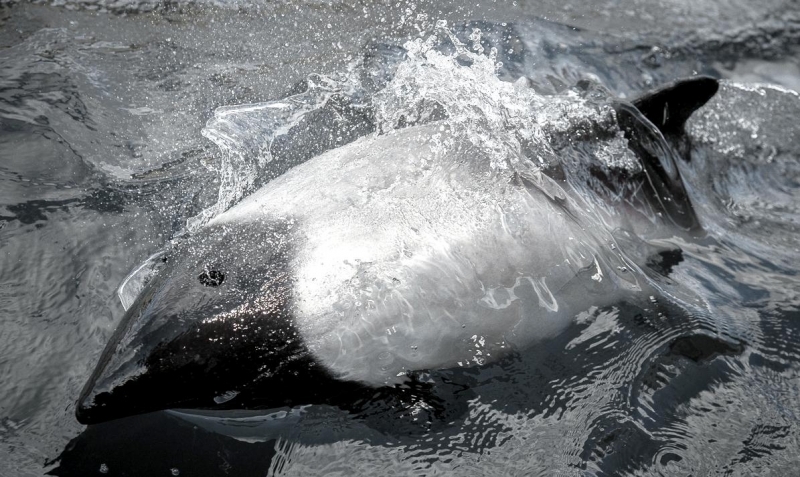 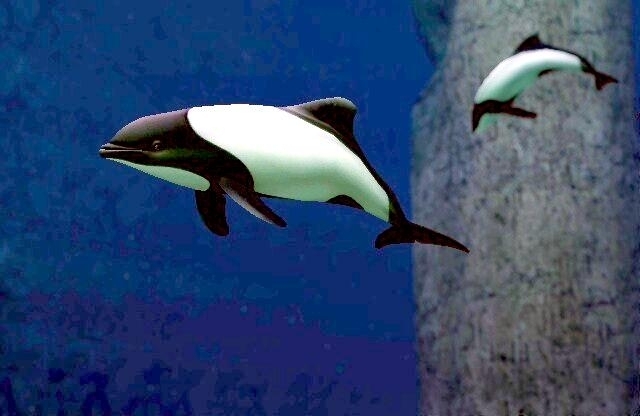 The Commerson’s Dolphin population in the Strait of Magellan decreases in late autumn. 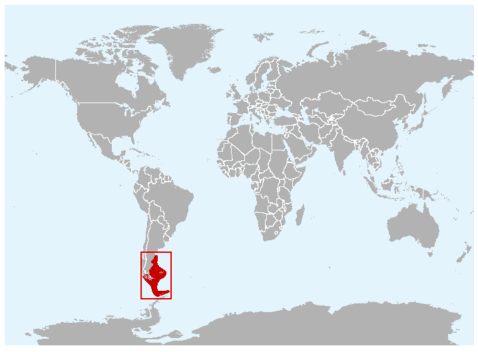 The South American and Kerguélen populations are 2 distinct populations separated by 130° of longitude or 8,500 kilometers. 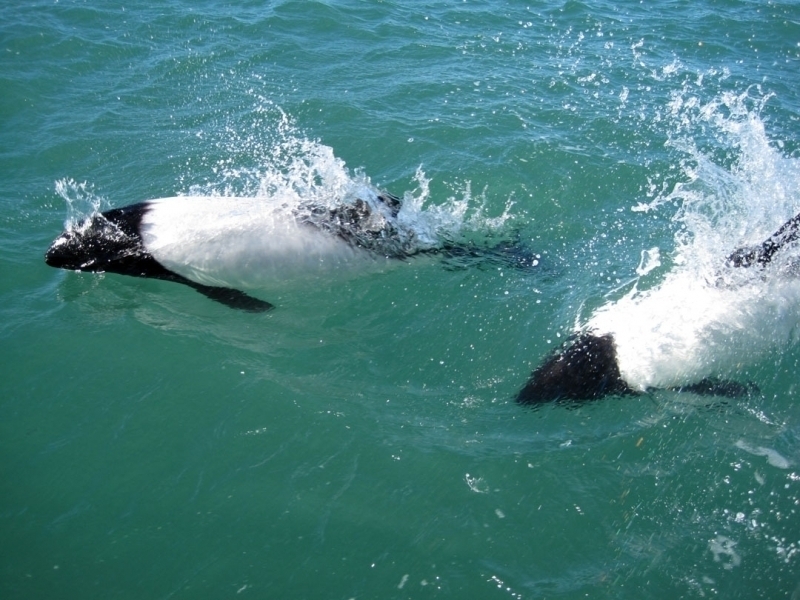 In the Kerguélen population, the majority of Commerson’s Dolphins migrate out of the Golfe du Morbihan between June-December. 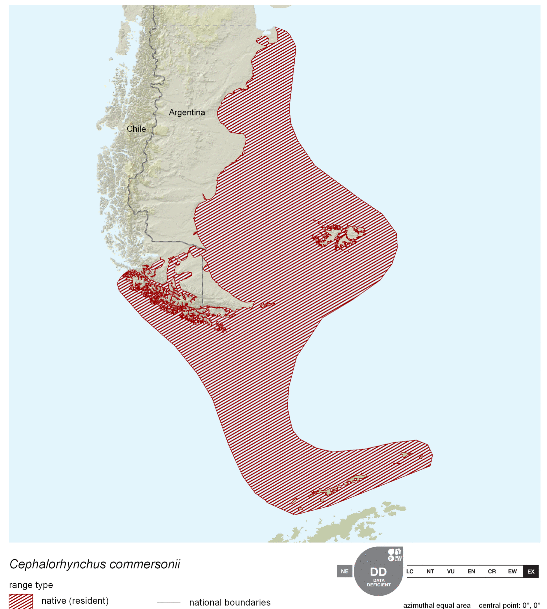 The northernmost limit of the South America population is documented on the Brazilian coast between 31-32°S. 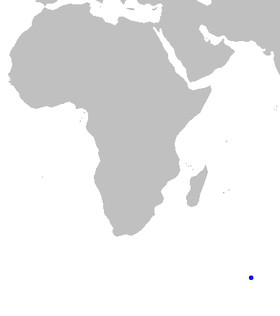 Range extends south into Drake Passage (61°50’S) as far as the South Shetland Islands. 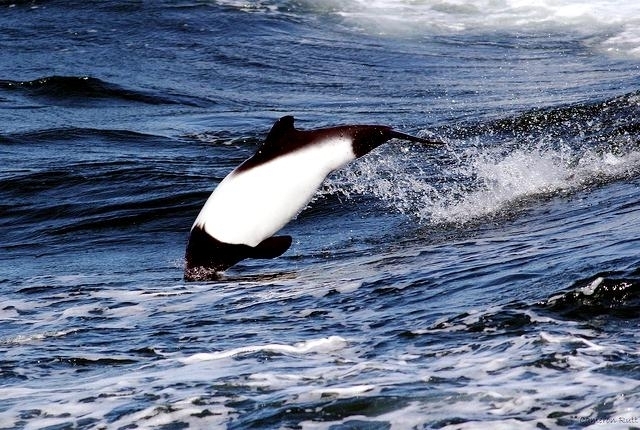 On the west coast of South America, specimens have been reported from Isla Chiloé, Chile. 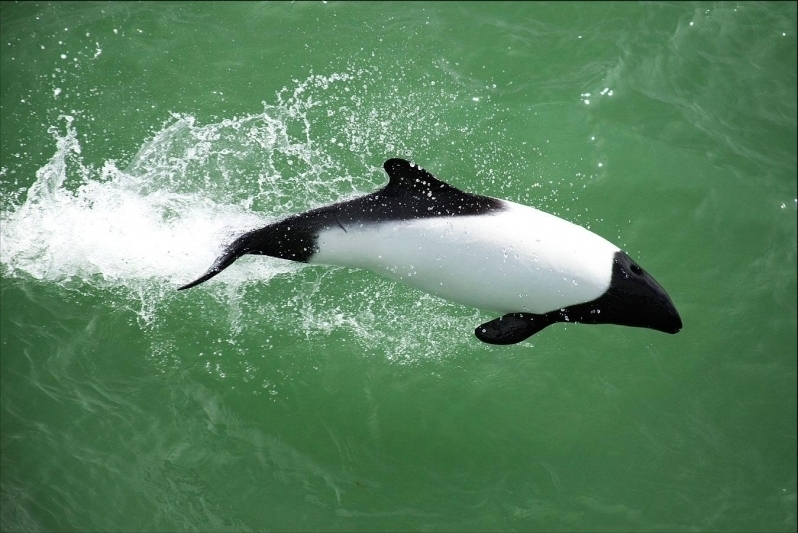 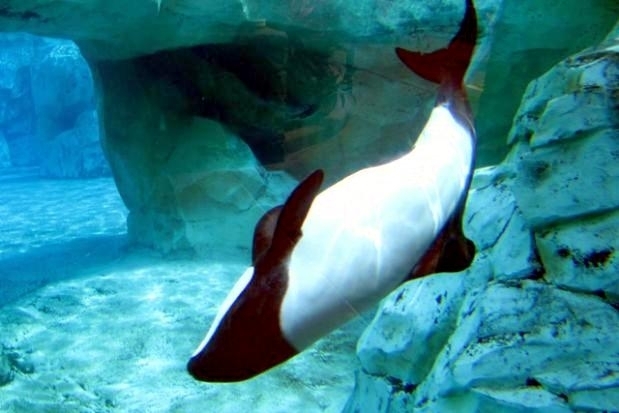 Commerson’s Dolphins are found in cold inshore waters near open coasts, sheltered fjords, bays, harbors, river mouths and are occasionally found in rivers. 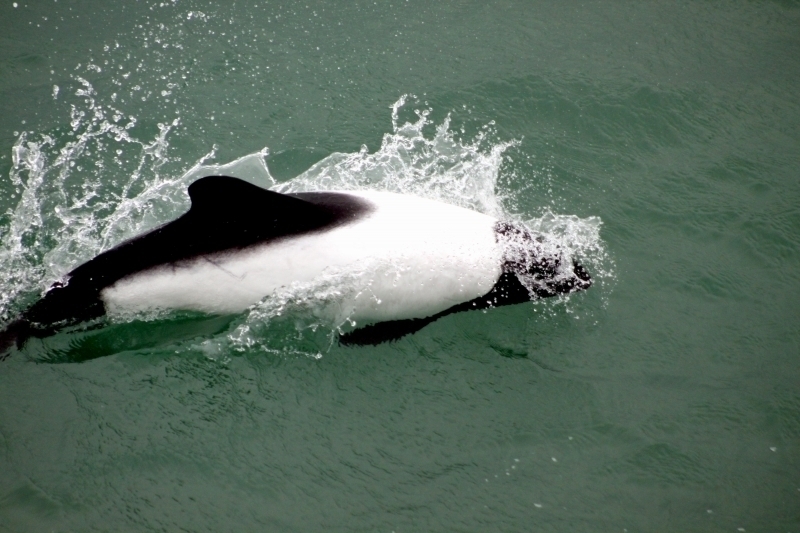 Within the Strait of Magellan, Commerson’s Dolphins seem to prefer areas with strong current that reaches or exceeds 15 kph (9.3 mph). 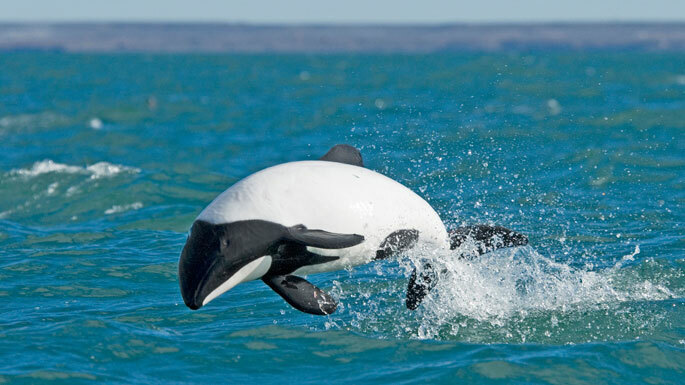 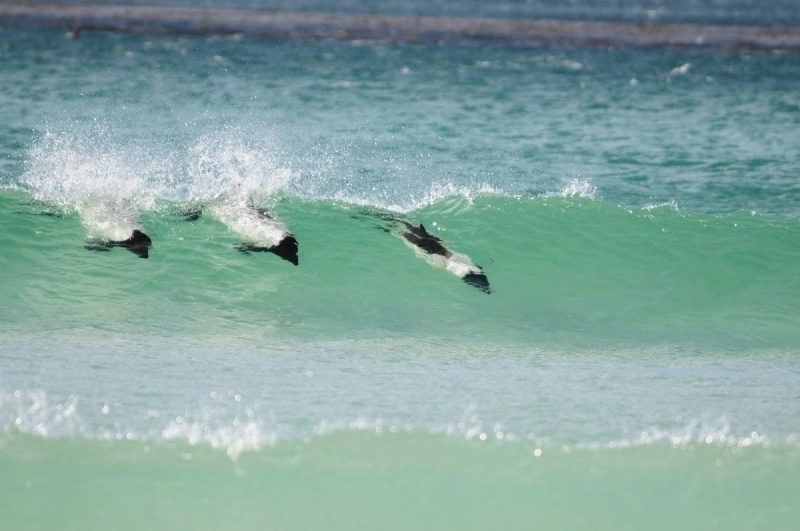 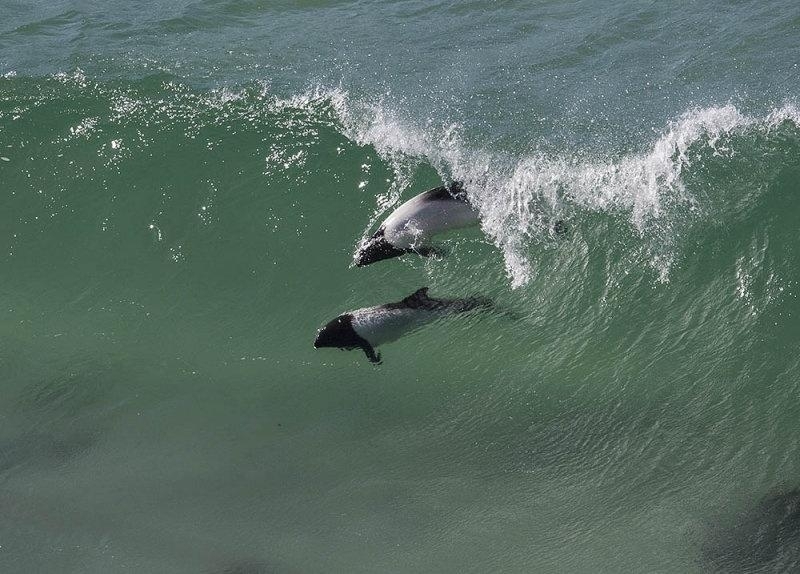 Off South America, Commerson’s Dolphins appear to prefer areas where the continental shelf is wide and flat; the tidal range is great and temperatures are influenced by the cool Malvinas Current. 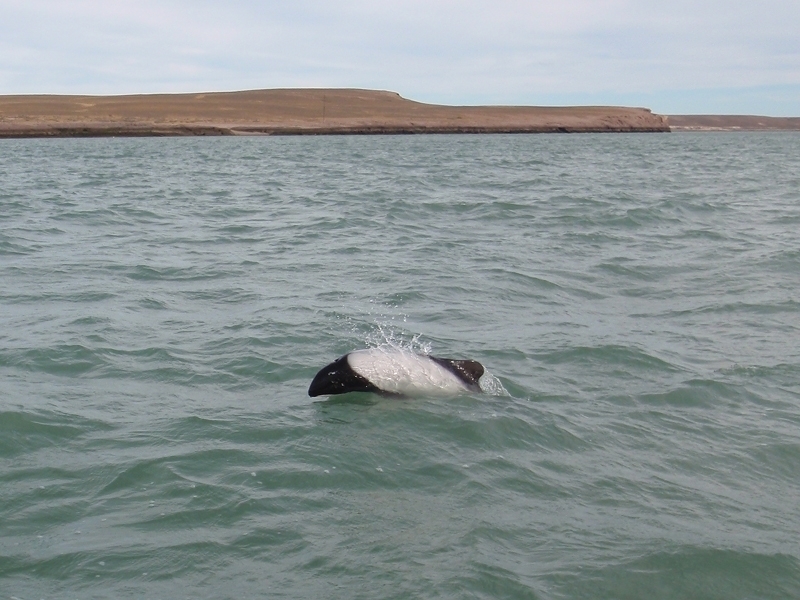 Water temperatures in areas frequented by these dolphins range from 4°C-16 °C (South America) and 1°C-8 °C (Kerguélen). 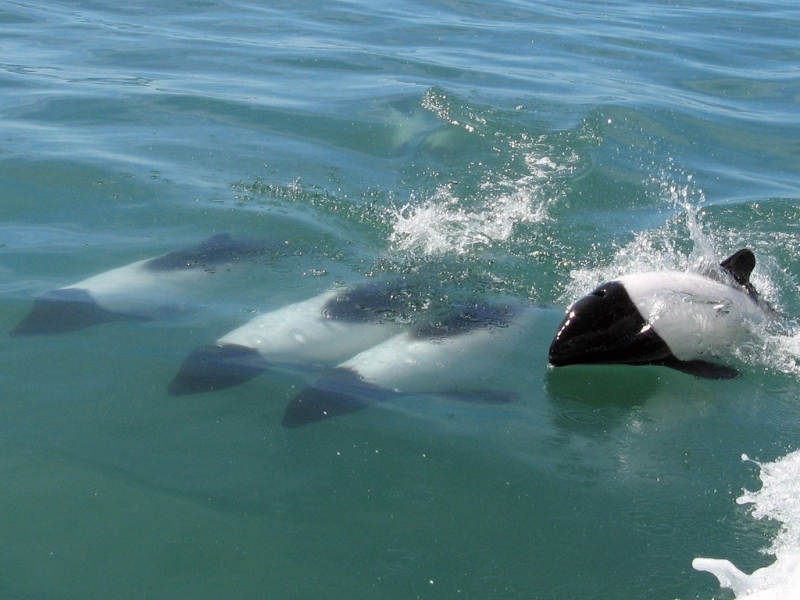 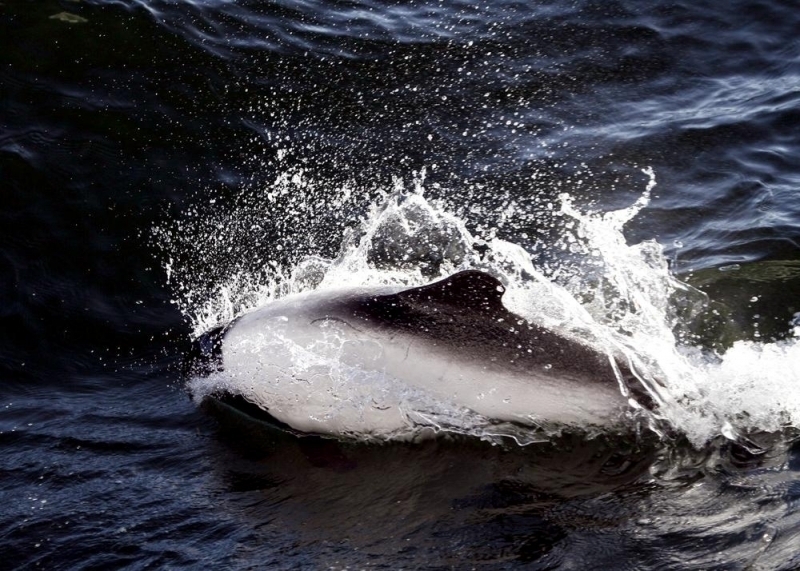 Around the Falkland/Malvinas and Kerguélen Islands as well as off mainland Argentina, Commerson’s Dolphins are often seen swimming in or at the edge of kelp beds. 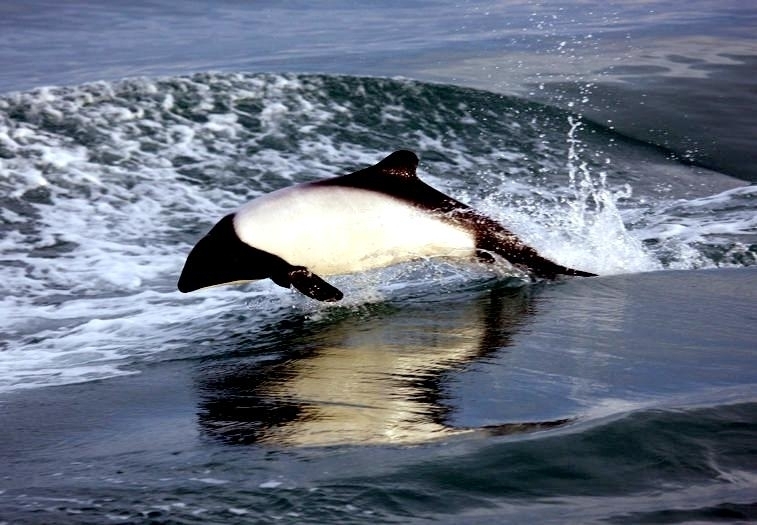 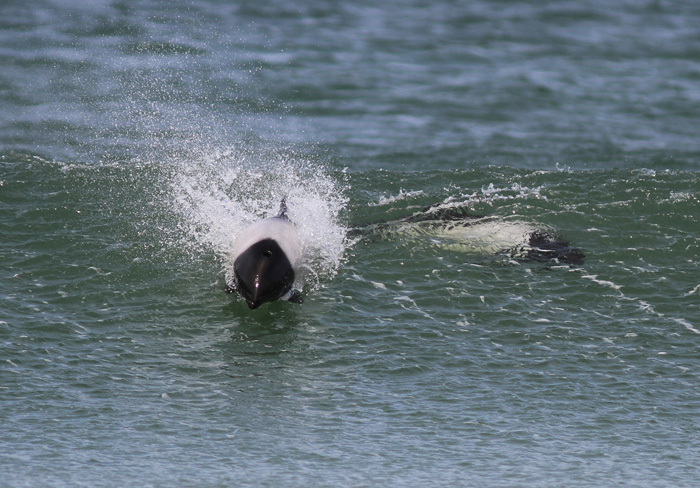 Sightings are common around the Golfe du Morbihan where the Commerson’s Dolphin inhabit open waters, kelp-ringed coastlines and protected areas between islets. 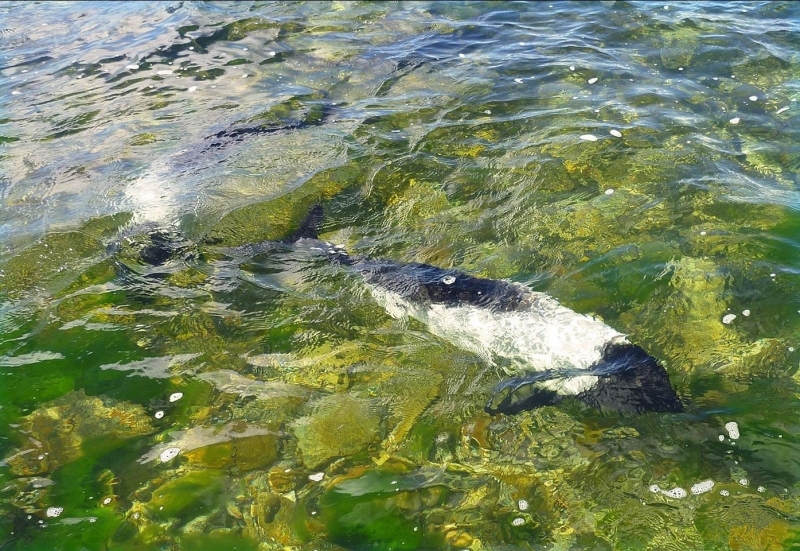 They appear to be opportunistic feeders consuming fish, squid and shrimp. 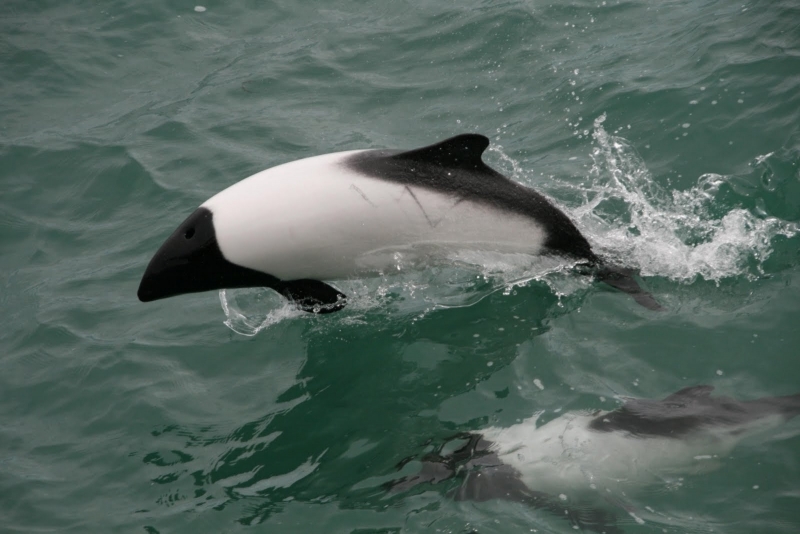 Stomach contents of Commerson’s Dolphins taken as by-catch in South America included at least 25 food items: mysid shrimp (22.5% of total diet), three species of small fish (20.4%), squid (14.1%), 17 species of other invertebrates, four species of algae and miscellaneous plant remains. 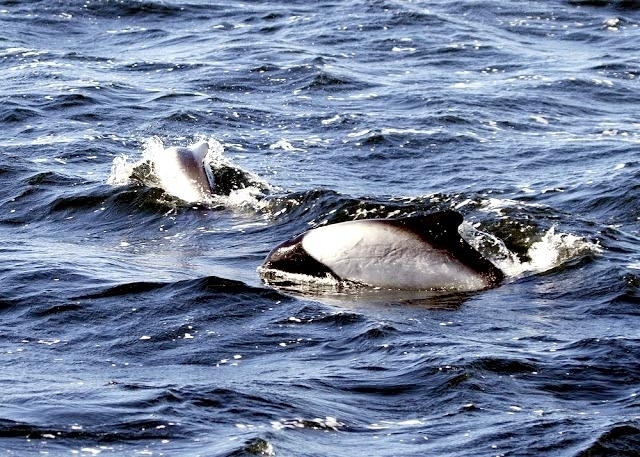 Studies of the Kerguélen population have shown feeding mainly on 15-24 centimeters semipelagic chaennichthyid fish and to a lesser extent on coastal benthic, pelagic crustaceans (amphipods, hyperiids and euphausiids), benthic crustaceans and in one individual, numerous annelid tubes and asciadians were also found. 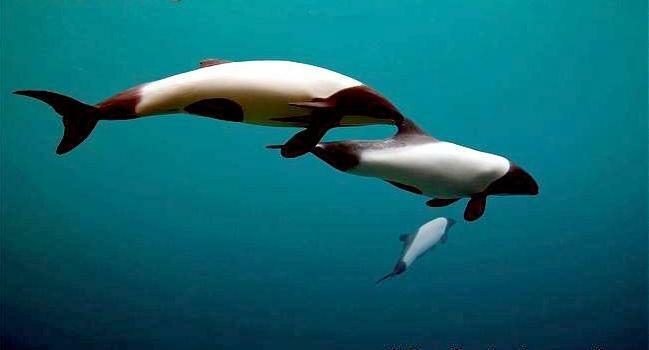 They feed primarily near the sea bed. 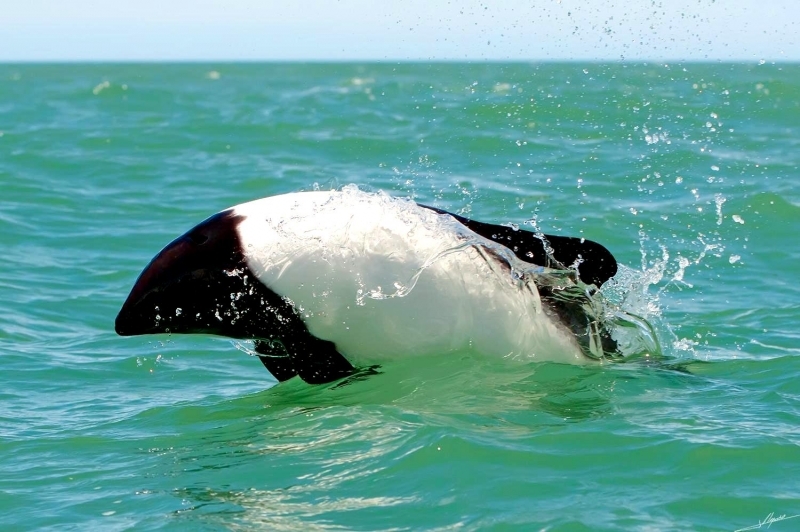 Commerson’s Dolphins normal breeding season is in the spring & summer, which runs from September to February with little else is yet known about their reproductive habits.